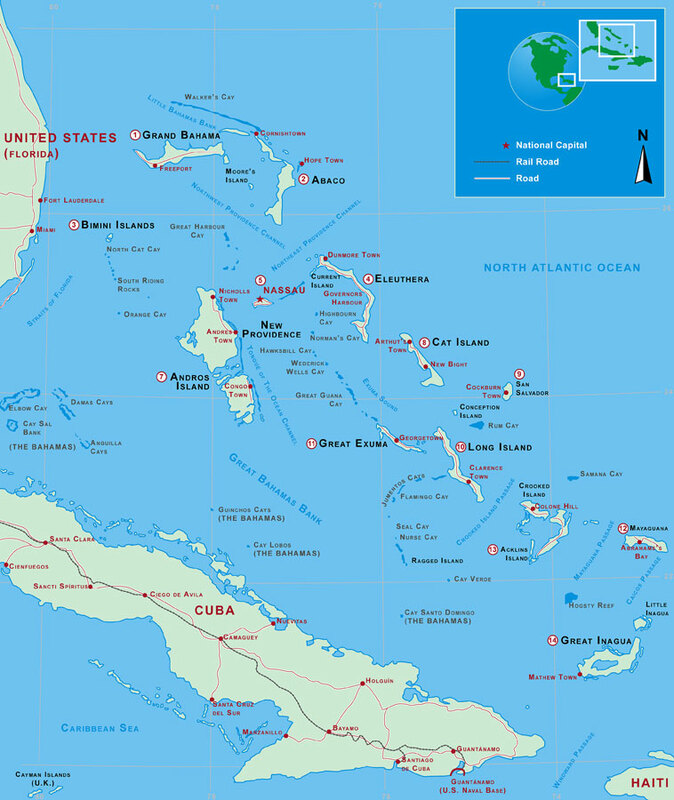 This map of Bahamas may not be reproduced or distributed in any form without consent. Copyright © Miami Beach 411. All rights reserved. Miami maps, weather and directions in Miami Beach 411.